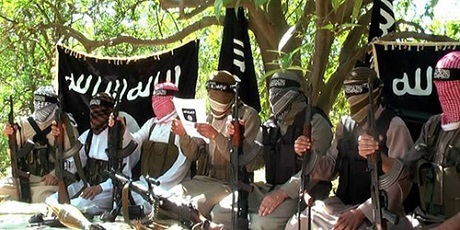 The Court for Urgent Matters has officially labeled Ansar Beit Al-Maqdis a terrorist organisation. Lawyer Ahmed Soliman filed a lawsuit to ban the Sinai-based group's activities. The US State Department has already designated the group a "foreign terrorist organisation." Based in the northern Sinai Peninsula, near the Israeli border, its operations expanded dramatically after the ouster of Islamist president Mohamed Morsi. Attacks that started in the peninsula are now taking place elsewhere in Egypt. They have been targeting police and military personnel since Morsi`s ouster last July, in what they call revenge for a government crackdown on Islamists. It has claimed responsibility for several bombings, including a suicide attack in February that killed two Korean tourists and their Egyptian bus driver. The attack revived memories of an Islamist uprising in the 1990s that often targeted tourists and took years for then-president Hosni Mubarak to crush. They have also claimed responsibility for an attack on the police headquarters in the Nile Delta city of Mansoura last December. The Egyptian government has said the Muslim Brotherhood is involved in supporting militant attacks, and last year declared the group a terrorist organisation. The designation was upheld by a court in February. The Brotherhood has denied any connection with militant attacks in Egypt. Foreign ministry spokesperson Badr Abdel-Atty told Ahram Online that Egypt was in contact with many countries to explain the seriousness of the situation. "We will be providing all the necessary documents so that all countries will help Egypt to counter terrorism." Abdel-Atty said Egypt was making all efforts to provide information about links between the militant group and the Brotherhood. But Not all foreigners know the other part which is these terrorist sickos are unconditionally supported by the US and EU admins. Those same admins lie to their people about democracy and how they support the new Egypt yet behind closed doors they plot with the MB and the likes about dividing Egypt. The CIA have been covertly attempted this division with the help of Hassan El bana in the 1920's! The plots continue with administrative foreign thugs and brotherhood of terror side by side. Regular Egyptian citizens just have to keep their eyes and ears open which they are hence the outcome of the June 30 revolution. Just another name for the Muslim brotherhood terrorists. Everyone knows that, so I don't see the point here. The only difference here is the Muslim brotherhood is never truthful about their crimes they commit, and Ansar is a convenient branch of the brotherhood terrorists to pass the blame to. Ansars exhistance is to do the dirty work for the Muslim brotherhood terrorists. Nothing more, nothing less.